Our public activity goes back to 1990 when an international conference titled Psychotherapy, Meditation & Health took place in Noordwijkerhout, Netherlands, soon after which a confluence took place with the work of Em. Prof. Yutaka Haruki, PhD, from Waseda University, Japan, called Trans-national Network for the Study of Physical, Psychological, and Spiritual Wellbeing. This confluence was continued as from 2000 by the web-based Trans-cultural Society for Clinical Meditation (TSCM) (see the track-record page). To keep pace with developments, the next shift took place in 2010: the TSCM transformed into the Institute for Relational Buddhism & Karma Transformation, based in the Netherlands. 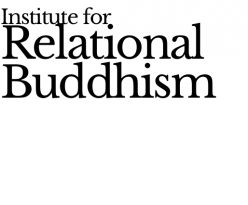 Our new Institute delightfully continues the previous work with the emphasis on disseminating a 21st century Buddhism. We offer workshops and seminars, and publish books, chapters and articles which are testimonials of collaborative practice and coordinated action of numerous authors (circa 60). This website is the present Institute’s “business card”. No less than the Fourth turning of the Dhamma wheel twenty-six centuries after the historical Buddha Siddharta Gautama and after Nagarjuna (“the emptiness of emptiness…”; 2nd century) and Asanga/Vasubandhu (“the nonduality of emptiness”; 4th century) by a confluence of Pan-Buddhist principles and Social Constructionism (“reality is a social construction projected into emptiness”; Kwee, Gergen & Koshikawa, 2006).